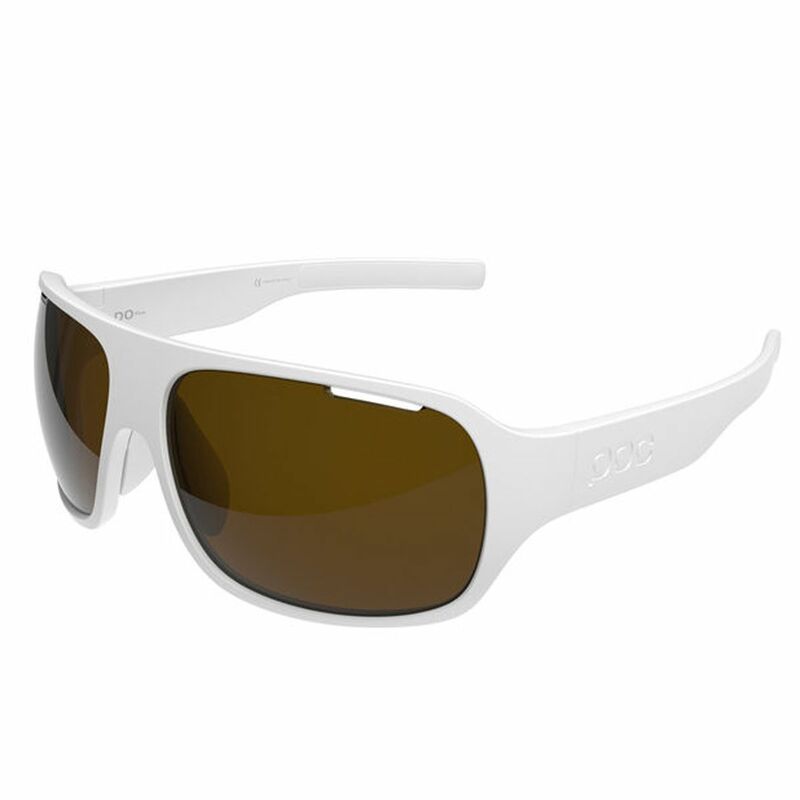 The Poc Do Flow Sunglasses Hydrogen White Brown 26.2 Lens Only is no longer available, although you may find similar or newer versions below. These are the glasses to turn to when you want to make a bold statement on the bike as well as off it. The lightweight Grilamid frame performs to the highest level with great durability and has a great field of vision, so you can be sure they’ll perform out on the trail. The strong look means you’ll be looking good post-ride too. The temple inserts and nose piece are made from a hydrophilic rubber which means they’ll stick in place whatever the weather. As with all of POC’s glasses the lenses are top quality too and have tinted that have been specifically developed to enhance definition and contrast on the trail so you can spot obstacles better. They are vented to help against steaming up when you’re stopping and starting. Plus they are treated with antifog and Ripel finishes so they’ll easily shed off fog, dirt and grime as well as beading off water. Brown lens VLT 26.2% - the perfect lens for sunny or changing conditions when going in and out of the shade. Protects your eyes from the sun while enhancing contrasts in the forest or on the mountain trail.